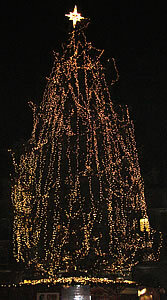 In 2008 the Covent Garden Christmas lights were switched on at 6.30pm on Monday 17th November 2008. Colour LED tubes and three large chandeliers hang from the ceiling in the centre of the Covent Garden Market. The display was created by UVA. The lights respond to the movement of people passing by. In 2007 there were no Christmas lights in Covent Garden, but there was a Christmas market and seasonal entertainment until Christmas Eve. 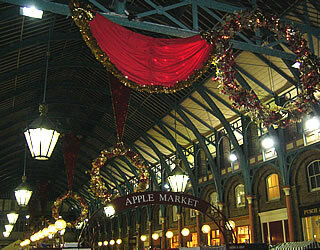 In 2006 the Covent Garden Christmas Lights ceremony was on Thursday 16 November 2006. The ceremony took place in front on the West Piazza,outside St Paul's church. 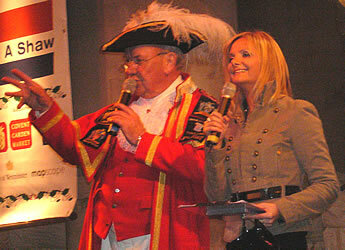 The presenters were Debbie King (from the TV show Quizmania) and the Westminster Town Crier. 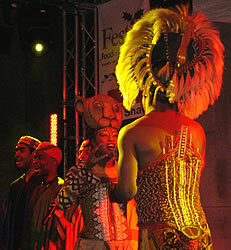 There were dancing and singing performances by students from the Pineapple Performing Arts School. 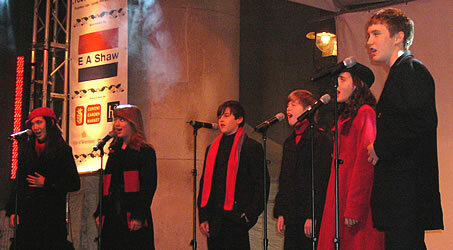 This was followed by the young choral group Angelis (produced by Simon Cowell). 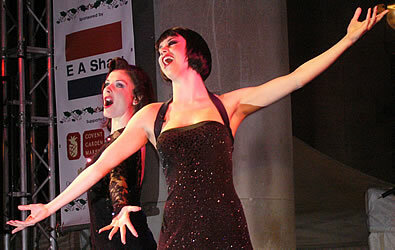 There were songs from the musical Chicago, which is being performed at the Cambridge Theatre. 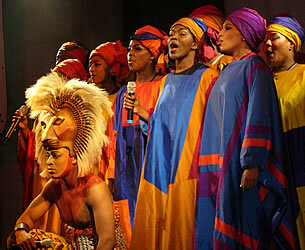 This was followed by songs from the musical The Lion King, which is being performed at the Lyceum Theatre. 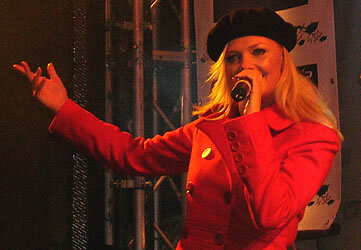 Emma Bunton (a former member of the Spice Girls) sang "Two become one" and "Downtown". 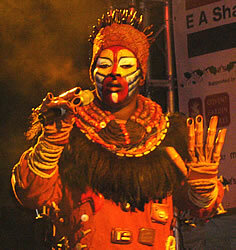 Darren Bennett (her dancing partner in the TV show Strictly Come Dancing) also appeared. 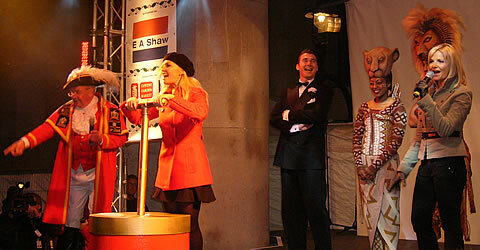 This year Emma switched on the Christmas tree lights in Covent Garden. 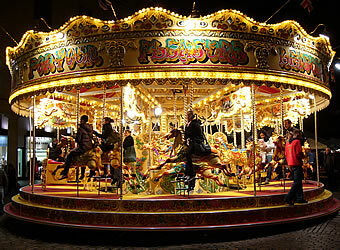 sings the 2006 Children In Need song "Downtown"
from the TV show "Strictly Come Dancing"
There's also a merry-go-round in the East Piazza.